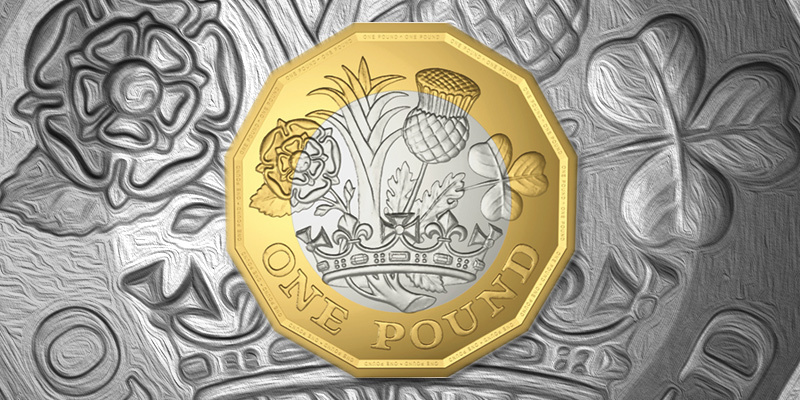 The result of the public competition to design a new £1 coin design was made public, and will serve as the design for the new coinage that will be used in United Kingdom in a couple of years. The design that captured the attention of the judges to be used for the ‘tails’ part of the coin was from a 15-year old pupil, David Pearce, a student of Queen Mary’s Grammar School. Pearce’s take on coinage design won the contest conducted by The Royal Mint that drew more than 6,000 design-entries. The Chancellor led the announcement after making a call to the teenager. David, together with the other young contestants was at the Downing Street for a formal reception. The competition called for coin designs that will illustrate Britain and some of the popular themes and objects used in the designs include famed British writers, picturesque piers, weather, flags and political maps. The top-rated design from David showed some of the symbols of the country including thistle, rose and leek. The design that will be used on the coin to be introduced in 2017 will stick to the original winning design. A new coin is soon to be introduced to address counterfeiting concerns in UK. The updated version of the coin boasts advanced security details that will make it the most secure in the world. Counterfeiting is a serious issue in UK, and according to experts, roughly 3 percent of all £1 coins in UK are forged. There have been efforts made by the government to address these forgeries in circulation, and one way is to produce a more secure coin in circulation. The newly revamped coin delivers at least two colors, using a bi-metallic material. The coin can be detected and authenticated for extra layers of coinage protection. In an interview, Chancellor George Osbourne said that the new coin will be the most secure in circulation. David Pearce, the owner of the winning coin design shared his excitement upon hearing the great news. He said that he knew about the competition from his design teacher, and added that he made researches first before completing the winning design. The competition and the planned production of a more secure coinage for UK is a great step towards improving and securing the circulation. The Chief of The Royal Mint, Mr. Adam Lawrence, shared his enthusiasm in producing a new set of coins. He added that this step can help create a new trend in coinage design and production around the world.